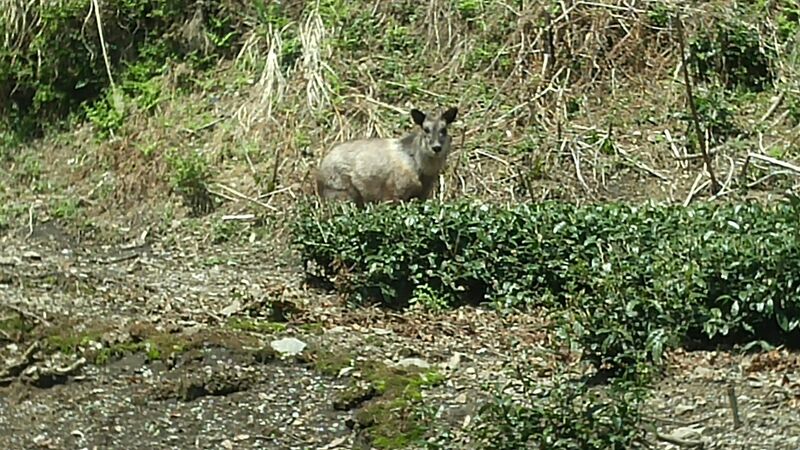 Japanese Serow (Nihon Kamoshika) in Hirano Tea fields, Shizuoka City! 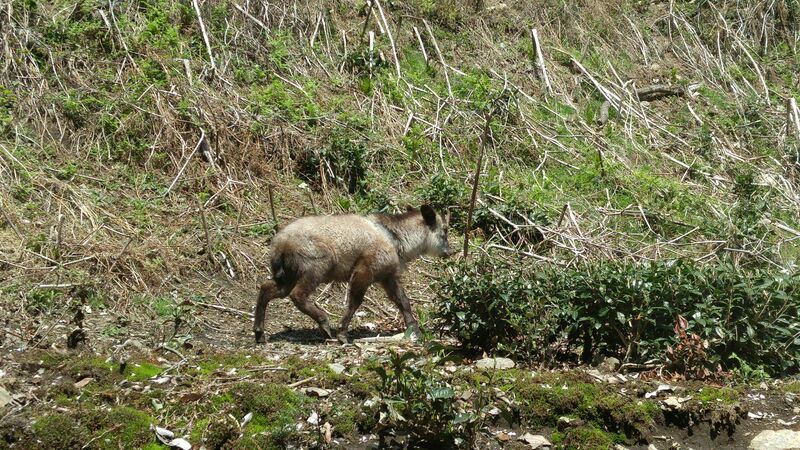 The other day as we were driving up the mountains of Hirano along the Abe River at an altitude of over 600 meters along the Abe River we made an unusual sighting! I actually hadn’t noticed first, but our driver, Ms. Asami Ito, who was driving us through her green tea fields was the first to notice it! 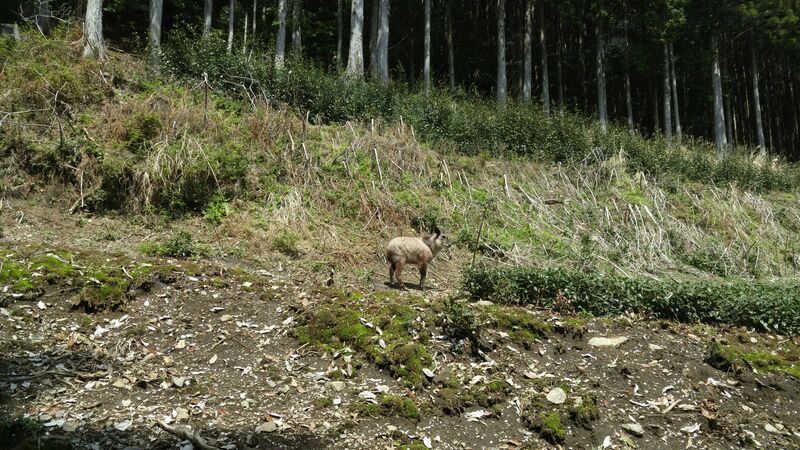 It is called a “kamoshoka” in Japanese, although “Shika” stands for deer. Deer (cervidae) and serows (bovidae) are actually not of the same family! Although it was my first sighting in 40 years in Japan, it is apparently not so rare! Contrary to wild deer, they are unafraid of humans as they are a protected species for ages, and they apparently understand! 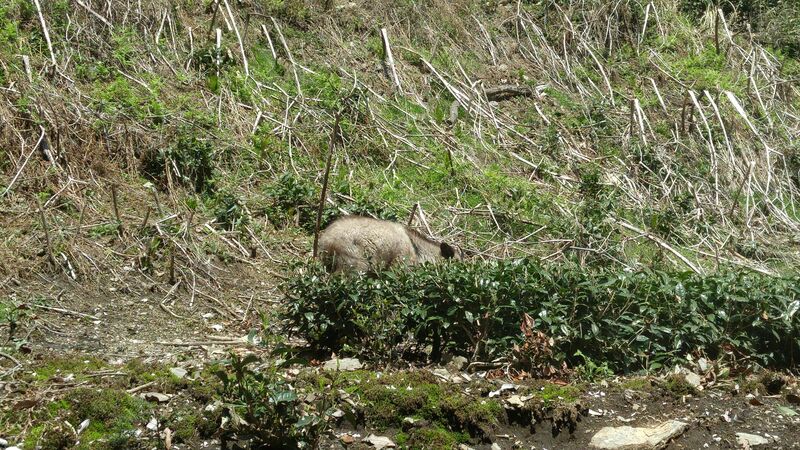 Incidentally, wild deer are a really nuisance to green tea farmers as they eat the new buds, serows apparently feed on old leaves only! For more information, please chck the very good explanations on WIKIPEDIA, especially the chapter, “Relationship with humans”!